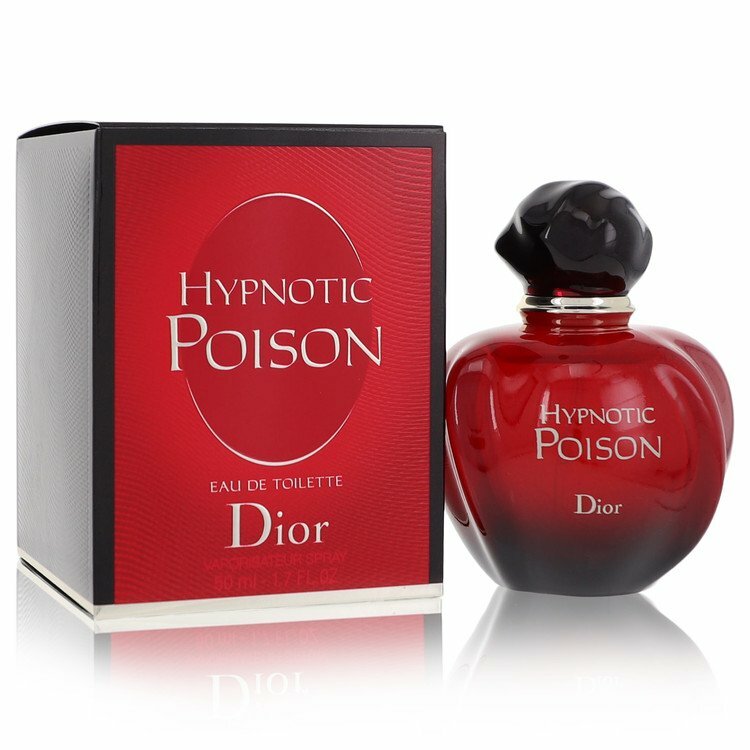 There are 137 reviews of Hypnotic Poison Eau de Toilette. Sweet almond; almost cherry-like accord. Slight cookie spice. Booze-like. Sweet jasmine note. Sweet woody note. Spicy vanilla musk. Girly-girl. The almond with its marzipan-like accord, lasts for quite some time. That, is a lovely aspect. A definite gourmand perfume, in my mind. Not what I expected. I prefer the original Poison. I compared Hypnotic Poison and Kenzo Amour wrist by wrist. Yes, the openings of both do share some similarity. I feel adding some rice and a little spice, the vanilla and coconut opening of HP can pass like Amour. Then they evolve differently. HP does remind me strongly of Play-Doh. I was almost shocked to find it realisitic to that point. Might be the vanilla-almond-coconut combo? It's a little funny to my nose, though I don't think it's the right emotional response to be expected. Then come jasmine and tuberose. At this stage, I can feel the feminity and the romance throughout the fragrance. However, I really should have put only one spritz. Two are already too much. For the subtlety of the flowers, I have to stick my wrist to my nose, while the strong powdery and sweet vanilla is still dominant and floating in the air. The longevity is excellent and the sillage can reach far even with two spritzes. I can feel the coziness when it's calmed down. It's really a pity that I should have been more careful while spraying. And don't forget it's a very sweet vanilla scent. Just don't make the same mistake as me. This is by far my signature scent. I love how you can distinctively detect every single note, while it blends together perfectly. Its one of those unforgettable scents. In a sea of vanilla frangrances, it stands out. Alluring, sensual, deep and clingy. Perfection. I won't describe it, there are enough reviews for it. It deserves one more positive review though. This is a long-time favorite of mine and I couldn't live without it. My bottle is from June 2002. Almond and deep vanilla. The reformulation isn't horrible but it lacks the spicy, interesting punch of the original. Better than most of the candy vanillas on the market today, but not full bottle worthy at full price. Lasts for hours, but on me, becomes a skin scent in about 45 minutes. Christian Dior Hypnotic Poison Eau de Toilette 30 ML 1FL.OZ. There are no member images of Hypnotic Poison Eau de Toilette yet. Why not be the first?